Posted 10:19 am, Apr. 12, 2019. Earlier this year, Carolyn Williams (MBA’20) and her team helped the Nashville Symphony figure out how to grow ticket revenue and appeal to new markets — all for course credit. 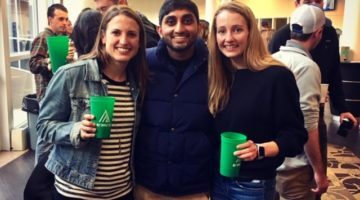 Alongside other students from several Vanderbilt graduate schools, Williams enrolled in the inaugural Social Enterprise Consulting (SEc) class, which wrapped up last month. SEc is managed by the Turner Family Center for Social Ventures, a student-led, interdisciplinary organization that is committed to alleviating poverty through market-driven forces and enterprise. 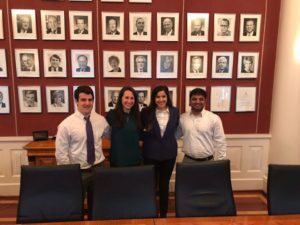 SEc gives students a chance to provide consulting work for local social enterprises in the Nashville area, building their consulting skills, learning about social enterprises, and giving back to the community all at once. 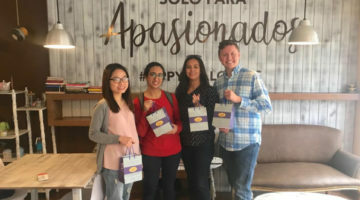 While the Social Enterprise Consulting program has been running for three years, 2019 marked the first time students could get course credit for it. 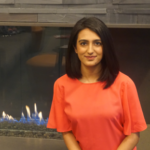 When outgoing SEc chair Amna Aslam (M.Ed.’19) was gathering feedback on the program at the start of the academic year, many students expressed interest in receiving course credit for SEc. The volunteer program was time intensive, and students also thought they’d get more out of the consulting projects if they were accompanied by classroom instruction. “We had a strong and positive response which gave us the reason to start working on a curriculum,” Aslam said. They began looking for professors who might be willing to teach the class. Corey Cleek, Adjunct Professor of Marketing, came to mind given his involvement with ABLE (an organization the TFC has worked with in the past) and his familiarity with TFC programming like Project Pyramid. Cleek put together a course outline, which went through revisions before going to the Owen Curriculum Committee for approval. Then Amna and her team began working on getting students across graduate schools to apply for and enroll in the class. The inaugural projects for the first Social Enterprise Consulting class were ABLE, Nashville Symphony, Project 615, ThirftSmart, Trap Garden and United Way of Metropolitan Nashville. Interdisciplinary teams of 3-4 students worked on each client project, which were all focused on one of the partner’s revenue generating activities. Students met with their clients several times and gave them a final presentation at the end of the course, which ran during Mod III (early January to early March). 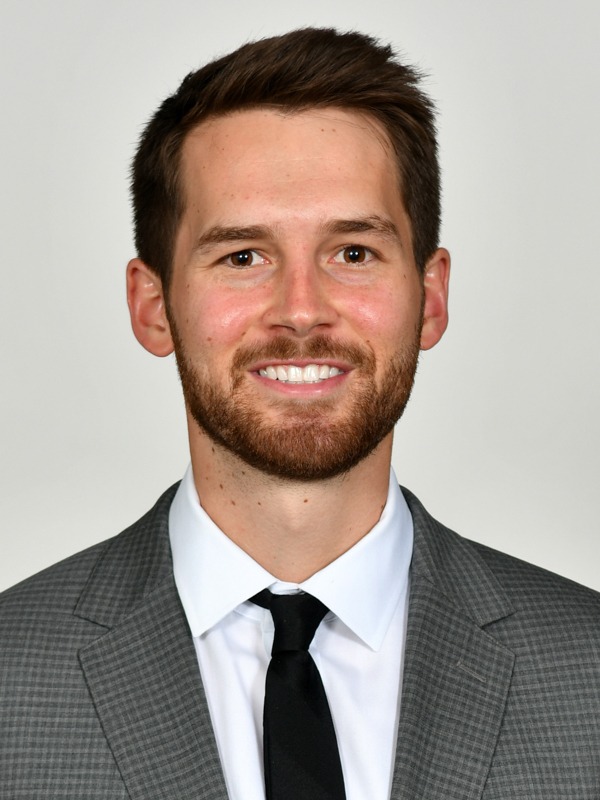 For example, Brandon Kieffer (MBA’19), outgoing Outreach & Communications Chair for the TFC, worked on the Project 615 team, figuring out how the apparel brand could drive more tourist foot traffic into their new downtown retail store. “We thought there was more opportunity for us (the TFC) to get more involved with our community in Nashville, and I think the social enterprise class really was able to give us these projects based here in Nashville,” Kieffer said. “This exposure to different projects in Nashville was a great way to learn about (the city) while flexing all these skills,” agreed Williams, who is the incoming chair for the SEc class. In addition to the project work, Cleek lectured during the twice-weekly class sessions and also brought in guest speakers from the Nashville social enterprise community. Through the class, the students learned about the intricacies of social enterprise consulting and how to apply consulting frameworks to organizations that are concerned with more than just the bottom line. “With social enterprise, you’re always considering ‘what is the true mission of this organization?’…is it serving the population that we’re aiming for?” Williams explained. “I think what really separates us is ‘what’s your key driver?’ We’re not just trying to raise shareholder value, we’re also trying to look after how we can have a better impact on our global community,” Kieffer added. Aslam says that the first iteration of the class resonated with students and gave them the opportunity to learn more about social enterprise. “The students really enjoyed the exposure the projects gave them to the Social Sector and how they can contribute through business solutions,” she said. They collected feedback on the class at several points during the Mod, and the incoming leaders are making plans to incorporate changes into next year’s class. Williams says they hope to further impart consulting skills and frameworks (especially to non-business students) and to leverage the Owen and broader Vanderbilt networks for guest lecturers and projects. As for whether or not future students should take the class, Keiffer has two words for them: do it. 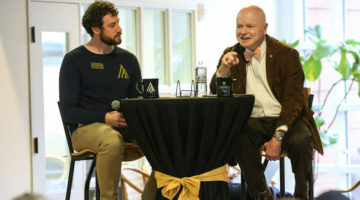 “It’s just an opportunity to get outside of your comfort zone and increase your exposure and really take advantage of everything that the Vanderbilt graduate campus has to offer,” he said.